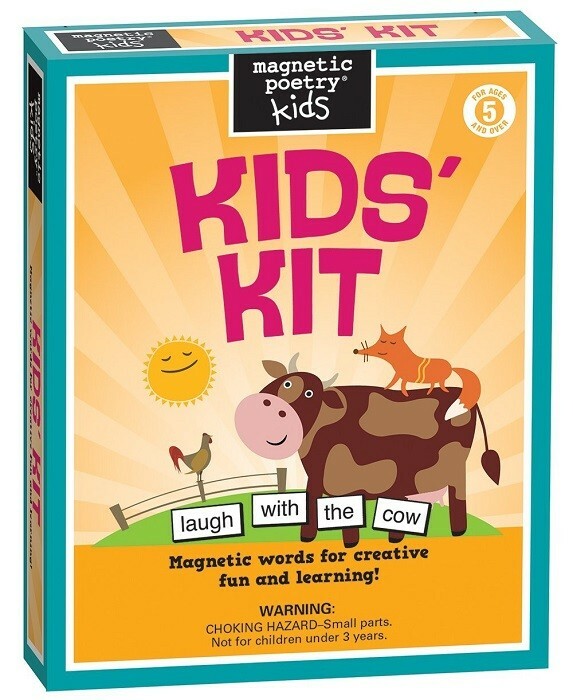 Ignite your child's love of language and wordplay qualities crucial for success in a lifetime of reading, writing and general learning with Magnetic Poetry's award-winning Kids Kit. 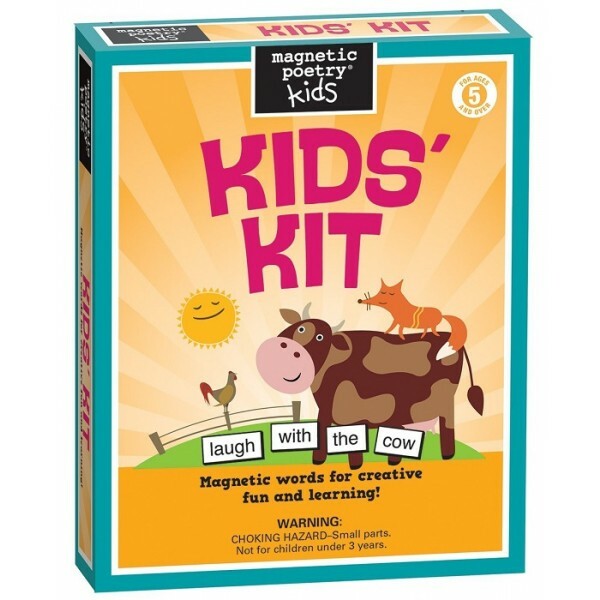 Developed with the help of kids, parents and teachers, the Kids Kit mixes simple words like get, tree and up with more advanced words to grow into like imagine, dinosaur and castle. Comes in a re-usable metal tin for portable playability!